An NBC 5 investigation has found that Dallas County did not do some of the key things in the months leading up to the West Nile virus epidemic that experts recommend to identify and then slow the spread of the virus. And, if the county wants a more aggressive program to fight West Nile virus, it may need to consider creating a new program or agency with additional funding to prevent future outbreaks. One way to spot West Nile virus before it reaches humans is to follow a trail of birds. That’s what they do in Sacramento, where David Brown runs one of the country's best programs to combat West Nile virus, the West Nile Sacramento-Yolo Mosquito and Vector Control District. The plan for fighting West Nile virus in Sacramento, Calif., could offer lessons for Dallas and Dallas County. Brown told the NBC 5 Investigates team that he believes closely monitoring birds can give researchers an earlier sense of what’s going on because the disease is transmitted through birds, to mosquitoes and then to people. 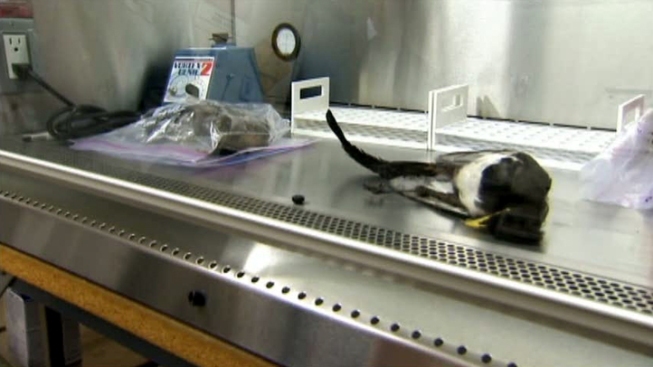 To pinpoint the virus early Sacramento tests dead birds and then treats areas where birds tested positive. One of the nation’s top West Nile virus researchers agrees it can be an effective strategy. “Very frequently (the birds) are some of the of the earliest indications of virus activity we see,” said Dr. Bill Reisen, who runs a highly respected West Nile virus testing program at the University of California, Davis. But in Dallas, in the months leading up to the West Nile virus epidemic, the city and county did not test dead birds. The Texas State Department of Health Services doesn't even accept them for testing anymore. They used to send them to a lab in Wisconsin and said it was taking too much time to get results. Reisen believes cities that don’t test dead birds could be missing an opportunity to attack the virus earlier. But he said he understands it’s another program that costs money. Sacramento has a lot more money to fight mosquitoes, including a $10 million yearly budget for a dedicated mosquito control district. About 70 employees cover a two-county area. Dallas County and the city of Dallas have just four employees each that are dedicated to mosquito control. 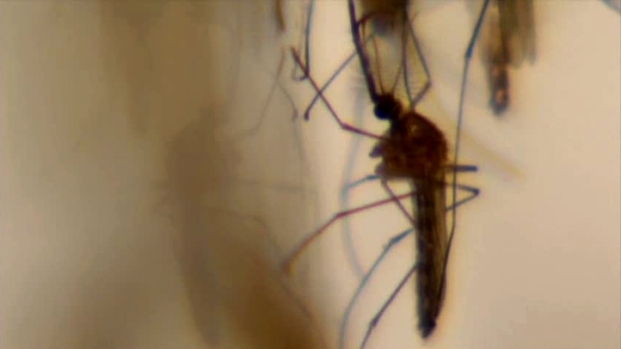 Sacramento runs hundreds of mosquito traps a week, testing them and quickly treating spots where the virus is found. Last week a NBC 5 Investigates report showed how the city of Dallas, per square mile, runs far fewer traps compared to cities such as Sacramento and Houston. And this year, Dallas didn't start trapping mosquitoes until May -- later than some experts recommend. Chris Barker, a West Nile virus researcher at UC Davis, said setting more traps gives more specific information about the source of the problem. “If money were unlimited, we'd love to have even more traps than we do in California,” said Barker. Dallas County and city leaders tell us they're now re-examining the plan. Sandy Flora contracted West Nile virus in Dallas in July and now suffers neurological damage. “My daughter thought I was possibly having a stroke,” said Flora. Now Flora wants the city and county to do more to keep others from being infected. In Sacramento, they search for water sources where mosquitoes breed. They find abandoned swimming pools and stock them with fish that eat mosquito larvae. They use aerial spraying before human cases arise and larvicide to stop mosquitoes from growing. To get that level of service it costs the average taxpayer $15 to $20 a year. About the same price as a few bottles of mosquito repellant. Having a dedicated budget stops the temptation to cut funding that can happen when West Nile virus cases drop -- or when health departments have competing priorities. “They got the flu, they got STDs, they've got endless things to deal with and, often, mosquitoes, if there's not a big disease situation, they're not high on the radar screen,” said Reisen. Records uncovered by NBC 5 Investigates show in the last few years Dallas County's health department rarely bought any larvicide to prevent mosquitoes from growing. In 2012, the health department bought no larvicide until July 30 -- days after the Centers for Disease Control and Prevention told the city’s health department that Dallas was already at the highest-possible risk level for West Nile virus. Records show no Dallas County Health Department larvicide purchases in 2010 or 2011 either. County Health commissioner Zach Thompson would not talk to us on camera, but said the following in an email: "There was no need to purchase additional adulticide or larvicide in 2010 and 2011," mild years for West Nile virus. Experts tell us staying aggressive in quiet times can help avoid outbreaks. “I think you always want to have that program in place so you can intervene at the earliest possible moment; larviciding is one of the best possible ways to do that,” said Brown. Dallas County Judge Clay Jenkins told NBC 5 Investigates the health department responded appropriately with the tools it had and they're studying how to make the program better. “We're always looking to take the best ideas, as we move forward, to further the public good,” said Jenkins. And, Jenkins said he's willing to consider creating a Dallas mosquito control district. For Flora, still suffering from West Nile virus, the extra cost would be worth it. “It is a shame. It’s just a shame that things weren't done sooner -- not only for myself, but for all these other people,” said Flora.